It is a very fun and relaxed place to work! It feels odd not being there during the week, and I've only had 2 days of leave so far haha. 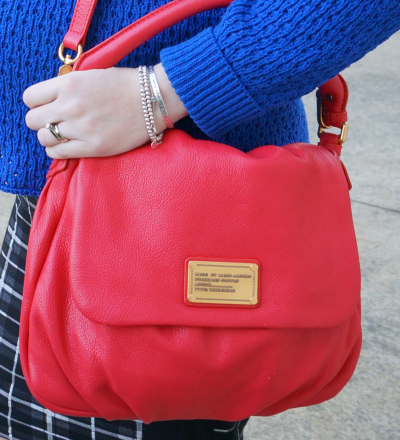 I just love your red bag! And hope you enjoy your maternity leave! So exciting! Omg, the ninka baby tee is ADOOOOORRABLE!!!!! I bet it must be a little sad to leave work, but you have such exciting times ahead of you! I'm so very happy for you!! Your tshirt cracks me up everytime I see it!! Too cute for words!! And the blue sweater is gorgeous on you! The color is just WOW! the cobalt blue is soo beautiful & i LOVE that you wore that tee on your last day of work. so sweet that they held a tea for you & baby!! 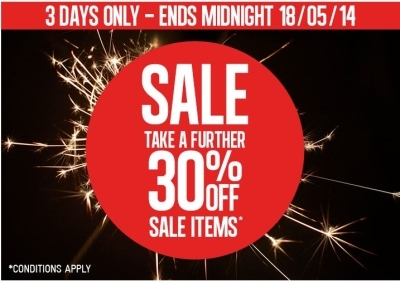 you're getting so close now, sooo exciting!! Woo you are having a ninja boy? :) He has been kicking up a storm eh? That means he is really ready to come out and meet you <3 This is so exciting! I am sure you can not wait! This is one of my favourite looks of yours. 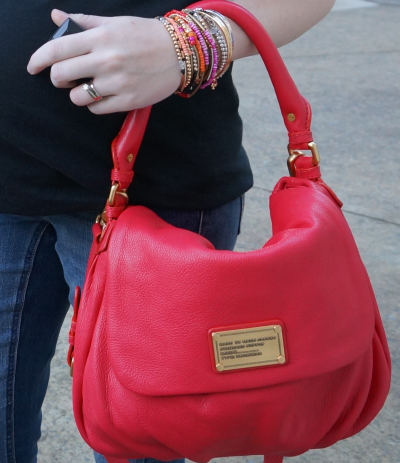 Love the bright colours and the red Marc Jacobs bag is absolutely stunning. That t-shirt is too funny! Love it!!! Hope you are doing well!! oh man, that skeleton tee is so cute! 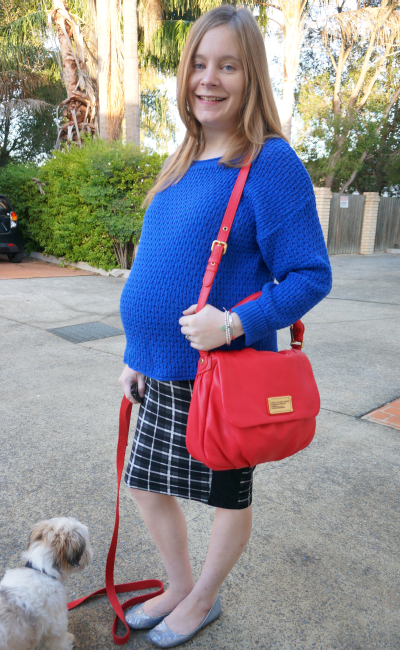 Love the plaid skirt with that bright blue sweater! Yes, Mica! Your skeletal ninja T is hilarious. Last day of work? Lucky you. Are you stopping to be a stay at home mom or are you returning to the job in a 6-8 week time frame? I can't seem to keep up. Which ever, have the nice time getting all ready for baby!!!! Thanks for your wonderful loyalty to *FiF* each week. WE LOVE HAVE YOU HERE! We are entitled to a year of maternity leave here, although my work does offer 2 years. So we will see how I go, but at the moment I'm planning on taking the full year. 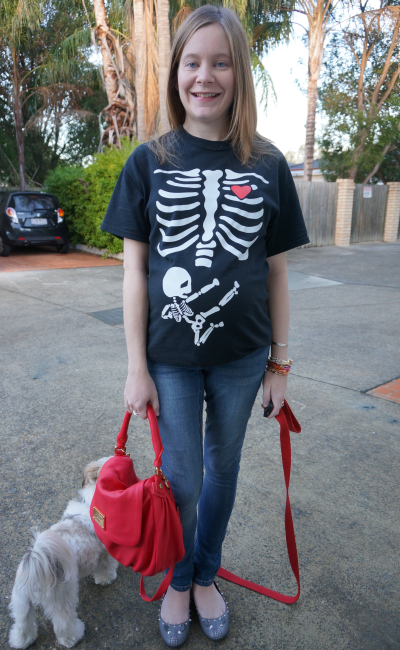 i love that baby skeleton t-shirt and enjoy your maternity leave! it's so exciting that baby's arrival is so close now! Oh my gosh that skeleton tee is the greatest thing!! And love that shade of blue, it's my favourite. Your causal Friday shirt may be the cutest thing I've ever seen! yeah you should definitely wear that lovely blue sweater again, weather permitting. That is a really gorgeous colour. And hooray for that baby ninja tee! It is such a great colour! Really is a shame I don't wear it more! That tshirt kills me! HAHAHA It's so cute and funny! Awww, wish you luck doll! Love the blue jumper and great tee! Still love that bag! You're right, it does look great with blue. How fun that your coworkers had a tea for you. Rest up! Omg, that tee shirt is everything! Hands down, this is the best maternity-wear I've seen. Ever. :) It sounds like your last day at work was so special; you are really lucky to have such sweet and caring co-workers. I'm sure they're already counting the days until you return back to work!